One of the challenges for funding the research and organisation needed to restore the riches of nature is that each step on the way may benefit very many people, but only create a small benefit for each. Can small contributions be gathered towards each step on the conservation ladder? In the Netherlands, the government found a way for anglers, of which there are about 2 million, to contribute to the restoration of inland fisheries. They asked anglers over 18 years old to pay a €40 annual licence fee to the angling clubs; about 550 000 anglers have this VISpas. A part of the fee (€7 million annually) is allocated to Sportvisserij Nederland, an organisation that combined the state administrative arm for angling with the private fishing clubs. This income employs about 40 ecological and hydrological researchers, engineers and education staff. 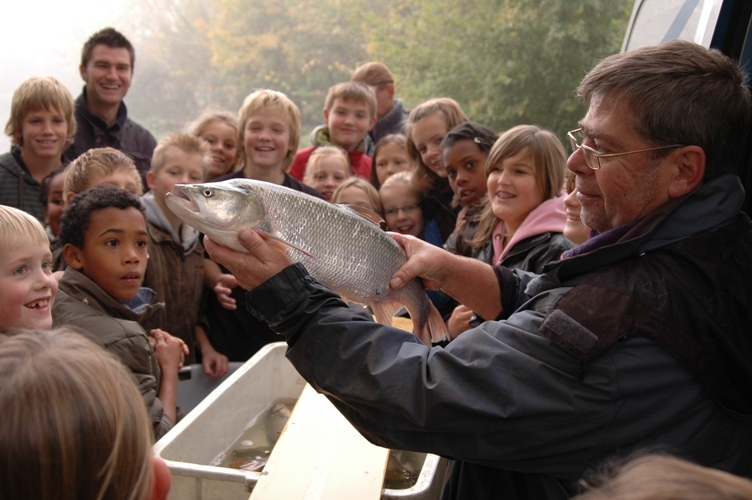 They work to restore aquatic wildlife resources in the Netherlands and educate anglers. To achieve the latter, Sportvisserij Nederland publishes a monthly magazine for the angler called Hét Visblad. It also publishes a quarterly magazine for fish researchers and fishery managers and has its own television programme called Vis TV. Among a half million young anglers in the Netherlands, 30% are girls. One problem they are addressing is the many barriers that regulate the flow of water in Holland but were hindering fish from breeding. Most fish migrate to lay their eggs in waters that are food-rich and safe for small fish. Salmon travel far to breed, but many other species need to move short distances. The work of this new organisation to enable fish migration across many Dutch water levels, has created an industry in new turbines that let water flow to generate electricity without harming fish. It is challenging to manage water flows and create electricity without harming fish. There is a need both for behavioural research and new technology. In the Netherlands, this resulted in a joint-venture, Fishflow Innovations. 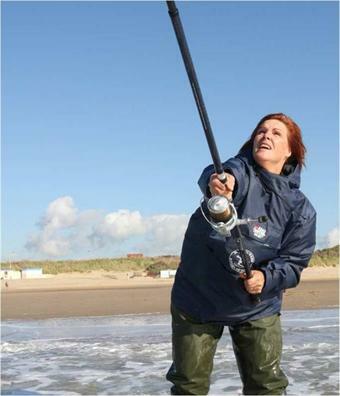 Sportvisserij Nederland also accommodates anglers from other countries with fishing passes in several languages. The charter was adopted by the Council of Europe’s Bern Convention in 2010.